Chateau de Chambrun dates to the mid 1800’s. At the time, the wines were sold as being from Clos de Chambrun. The estate was purchased by Jean-Philippe Janoueix in 1994. 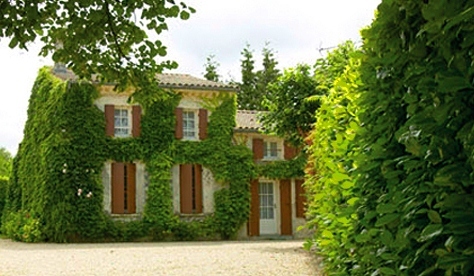 Jean-Philippe Janoueix is known for owning several estates in Pomerol and St. Emilion. It was Jean-Philippe Janoueix who decided to change the name of the estate to Chateau de Chambrun. Silvio Denz, who owns several high profile estates in Saint Emilion, including Chateau Faugeres and Peby Faugeres, became the owner of Chateau de Chambrun in 2007, after purchasing the vineyards from Janoueix. Following the purchase of Chateau de Chambrun in 2007, Silvio Denz continued buying additional parcels increasing the vineyards. In 2015 the estate was sold to Patrick Javanaud and Sylvie Javanaud. The 6.8 hectare vineyard of Chateau de Chambrun is planted to 70% Merlot, 20% Cabernet Franc and 5% Cabernet Sauvignon. The vineyard has a terroir of clay, gravel and limestone soils, which is typical of some of the better vineyards found in that part of the Right Bank. Located in the Neac sector of Lalande de Pomeorl, the vines average 25 years of age. The vineyard can be divided into 53 seperate parcels which is planted to a vine density of 6,500 vines per hectare. The vineyard is farmed using only sustainable viticulture techniques. The vinification for the main wine of Chateau de Chambrun takes place a combination of 40 hectoliter French, oak vats and small, French barrels. The wine is aged in 75% new, French oak barrels today 15 months before bottling. 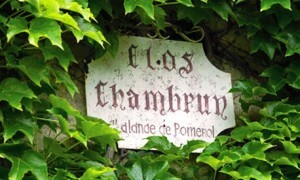 Two wines are produced at the Lalande de Pomerol estate of Chateau de Chambrun. Aside from their regular wine, they also produce a special, high end cuvee from their best parcel. This specific parcel of vines is only .7 hectares. The vines in this low yielding sector are more than 50 years of age. Chateau de Chambrun Le Bourg manages to produce an average of only 175 cases per vintage and is aged in 100% new, French oak barrels for an average of 15 months, depending on the strength and character of the vintage. Michel Rolland is the consultant. Chateau Chambrun is better with at least 2-4 years of aging in good vintages. Young vintages can be decanted for up to 1 hour or so if desired. Older vintages might need very little decanting, just enough to remove the sediment. Chateau Chambrun offers its best drinking and should reach peak maturity between 3-12 years of age after the vintage. Chateau de Chambrun is best served at 15.5 degrees Celsius, 60 degrees Fahrenheit. The cool, almost cellar temperature gives the wine more freshness and lift. Chateau de Chambrun is best paired with all types of classic meat dishes, veal, pork, beef, lamb, duck, game, roast chicken, roasted, braised and grilled dishes. Chateau Chambrun is also good when matched with Asian dishes, hearty fish courses like tuna, mushrooms and pasta. Soft and fruity, medium bodied, forward, light and fresh with an earthy, cherry character, this is a wine you can enjoy on the young side. Medium bodied, soft and plummy with a forward personality but lacking in depth. Probably best to drink young. Flowers, black raspberry, cherry, licorice and smoke open the nose. This medium bodied Pomerol look alike is soft, silky fresh and polished, The fruit feels great from start to finish with its smooth textures and sweetness in the finish. Forward, with lots of licorice, cocoa, sweet black cherries and round textures, you can enjoy it young, or give it a few more years.